Hi. I'm Patrick and here I'm writing about Microsoft System Center. There are already threads in the forum regarding that but they are kind of missleading. So I decided to write a blog post on that – after long time. AD General Response : The script 'AD General Response' failed to create object 'McActiveDir.ActiveDirectory'. This is an unexpected error. The Active Directory Management Pack Objects (OOMADs) components are not installed on the Domain Controller. These components are required for the monitoring scripts to run successfully. See Alert Knowledge for additional details. Copy oomads.msi from MS: "D:\Program Files\Microsoft System Center 2012 R2\Operations Manager\Server\AgentManagement\amd64\OOMADs.msi"
Paste it on DC: "C:\Program Files\Microsoft Monitoring Agent\Agent\HelperObjects"
Run: "C:\Program Files\Microsoft Monitoring Agent\Agent\HelperObjects\OOMADs.msi"
Once finished, check if file exists: "C:\Program Files\Common Files\Active Directory Management Pack Objects\oomads.dll"
Delete folder: "C:\Program Files\Microsoft Monitoring Agent\Agent\Health Service State"
Export the unsealed Notifications Internal Library MP. Open it with your Editor (e.g. Notepad++). Search for the name of the channel you configured in the console. There should be a display string entry starting with 'SMSEndpoint for' followed by the name of the channel. Copy the ElementID from the line above (starting with 'SmsEndpoint'. Search for the ElementID in the MP. Watch out for a line starting with 'WriteAction ID="Transport" TypeID="SmsEndpoint' followed by the ElementID. Find the Body tag two lines above. Modify the line for your need. Import the XML into SCOM. All information is provided "as is" without any warranty! Try in lab before. Handle with care in production. In SCOM you’ve the option to use Monitoring Templates to monitor log files for patterns you define. In the ootb template you only have the option for one regex pattern. But what if you like to query for positive pattern and negatives as well? Easy, as long as you understand how to build regular expressions. In my sample I’m searching for the pattern ‘positive’ while the string should not match the pattern ‘negative’. The only right way is to install SCSM SP1 or R2 as required (maybe already done). After that you’ll find the “Microsoft Monitoring Agent” on those systems where you can configure your SCOM Management Group information. If you’ve got SCOM security settings to “Review new manual agent installations in pending management view” you will see them immediately under Pending Management in the SCOM administrative pane. If you’ve checked the option “Automatically approve new manually installed agents” they will get monitored automatically. The self-service portal is something different (BTW: did you know that we’ve developed an awesome self-service portal? And we will release a new major version these days! More here: http://www.syliance.com/marketplace/itsm-portal). More on SSP below. If you want to monitor a server that will host Self-Service Portal components or the Service Manager console that does not already host other Service Manager roles, then you should deploy the Operations Manager agent to the server before you install the Self-Service portal or the Service Manager console. After you’ve installed either, you should give special consideration to removing the portal or Self Service console. If an Operations Manager agent is installed on the server that hosts the portal or console and you remove the either, then the Operations Manager agent is also removed. If you have already installed the portal or console to a server that does not host other Service Manager roles, and you want to deploy an Operations Manager agent to it, then the agent deployment will fail. However, you can prevent agent deployment failure by using the following procedure to back up, remove, and restore the Service Manager product registry key. Export the Service Manager key from HKEY_CLASSES_ROOT\Installer\Products\<ServiceManagerGUID>. You can find the key by searching at the Products node for Data equal to Service Manager. Deploy the Operations Manager agent to the server. Import the key you exported from step 2. What happens when the state changes? The question came up in relation to a new to develop custom connector. I’ve been asked what happens when the state of an object/alert changes from warning to critical (or the other way around), more specifically, will the same alert be updated or will the warning alert disappear (closed, deleted, whatever…) and a new critical one raised? To show that I created an override for the “Windows Server 2012 Logical Disk Free Space (MB) Low” monitor so that it is enabled, generates an alert for either warning and critical state and I configured testing thresholds. Further, I decreased the interval to 60sec for testing. I collected the interesting (warning) alert information using Get-SCOMAlert, see table below. I collected the interesting (critical) alert information using Get-SCOMAlert, see table below. And removed all the overrides I created initially. Description : The disk C: on computer <FQDN> is running out of disk space. The value that exceeded the threshold is 6552 free Mbytes. As you can see: the alert ID is the same. The severity has been changed from Warning to Critical and the (State)LastModified timestamps have been updated. Conclusion: it’s the same alert with a new severity. A couple of weeks ago, Microsoft released a new MP version for Windows Server Operating System. The version number was 6.0.7294.0 and it brought some fixes for Mount Point monitoring and unfortunately some bugs related Logical Disk discovery, monitoring and performance collection. After importing the new version everything looks good but the multiple entries in the Performance Views remain. Below you can find the SQL statements to get rid of them. Always keep in mind that manipulating the database directly is completely unsupported! Everything you do here is on your own risk! Try in lab before! Attention: backup your Operational Database before you move on! After that, the duplicate entries in the performance view will disappear. I created a PowerShell script which shows all computers in a defined Domain/OU structure that have no SCOM Agent installed in a PowerShell Grid Widget. It is mandatory to change the SearchBase string in the second line of the script. Further, it is possible to exclude known computers without agents to avoid showing them in the widget. This version is only able to search one Domain/OU but it is possible to create a dashboard with multiple widgets running for different Domains/OU. This sample is using SQL Server even if there is already a group (SQL Computers) available when importing the SQL MPs. There is a link to the gallery if you’d like to download the sample MP at the bottom of this post. This task is just in case that you’re not so familiar in how to find the proper class ID. Export MP and edit the MP (for instance using Notepad++). Remove other languages if not needed. The view should contain all computers hosting SQL monitored by your SCOM. Since it is not possible to drop more than 2 images into a forum reply I use my blog to provide the screenshot for a question there. I had to update a lot of UNIX/Linux machines from 1.5.1-112 to 1.5.1-138 (shipped at the same time as SCOM 2012 R2 UR4). As expected a couple of machines did not update successfully. Unfortunately, a lot of machines had the status “Failed” – all but one with the Message “Unable to copy new agent to this computer” with the exit code “-1073479144”. Before I wanted to discuss that situation with the UNIX team I wanted to try it again and during the next update wave just half of the machines ended up failed, the rest has been successful. So I tried again and again and after 5 iterations all machines (but one with another failure) have been updated without any other issue. Conclusion: don’t give up when you see this error and try it again. Unfortunately there is no KMS MP for WS2012. However, the existing MP for KMS on WS2012 works for KMS on WS2012 as well. And, of course, SCOM 2007 MPs work with SCOM 2012 (R2) either. After that the MP will discover the KMS. Just give it time (24h), restart the agent or override the discovery interval temporarily. It is always a pain to determine all users that have permissions in Operations Manager and the SCOM user role and AD group. Of course you can change the sort order as expected by the role, group, user or account name. There is no additional configuration necessary since the script takes the management server from the registry. In the version 6.5.1.0 of the SQL Management Pack the dashboards have been changed and adopted to 2008 besides of 2012. Unfortunately, in some SCOM environments (seems to be the ones that are upgraded from 2007) the DB display name is not shown in the Databases widget and the column is empty. The problem is that in the dashboard MPs there is a value “$Object/PropertyCollection[Name=’DisplayName’]$” and that collection simply does not exist. This can be tested by extracting the MP to XML, searching for the string “PropertyCollection[Name=’DisplayName’]$” and replacing it by “Property[Name=’DisplayName’]$”. Please keep in mind that the MP/XML is still intellectual property of Microsoft and that the EULA apply! The sample above is only to show the reason for the missing value. Yesterday I’ve seen an interesting issue at a customer: whenever they tried to deploy an agent using the discovery wizard they immediately after kicking off the discovery get an information, that the agent is already under pending management. However, there were no agents under Administration, Pending Management. Weird, but using the PowerShell Get-SCOMPendingManagement showed exactly the machine supposed to be discovered. Usually you’d fire a Get-SCOMPendingManagement | Deny-SCOMPendingManagement and discover the machine again to be sure that the discovery and push-deployment was ok. Unfortunately that brought up an error again. So we had to approve it first using Get-SCOMPendingManagement | Approve-SCOMPendingManagement and delete the agent from Agent Managed before re-discovering it successfully this time. Again, this is just a workaround. Until now I’ve haven’t seen that issue again to dive deeper into troubleshooting. Not a big thing but tricky at all. After you’ve updated from SCOM 2007 to 2012 (or later) your console users might see different resolution states than you’ve configured see under Administration/Settings/Alerts. That might be the case if you’ve used custom resolution states with IDs that are now used by the resolution states coming with the 2012 (or younger) version. Those resolution states are used in TFS WI sync scenarios to show the state of the related WI directly at the alert. You can move to the settings and re-enter your display string for each resolution state. I recommend to take other IDs than the ones reserved for TFS (247, 248, 249, 250, 254) if that is possible in your environment. 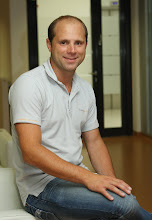 Patrick is CEO and IT Consultant for an Austrian IT consulting company. Before that, Patrick was founder and CEO of the leading Swiss consulting company for System Center and the Microsoft Cloud. He is Microsoft Certified for several times (MCITP, MCTS, MCSE, MCSA, MCP) and works with System Center since 2008. Further, Patrick is member in Microsofts TAP and CEP programs and member of the System Center Influencers. Written by Patrick Seidl. Powered by Blogger.